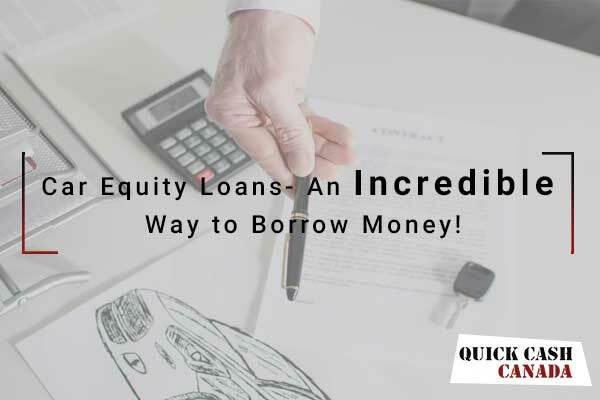 There are many reasons that force you to borrow instant money from someone else or to take a quick loan to deal with the financial issues in your life. Sometimes you are not prepared for unexpected expenses and it seems impossible to handle such type of circumstances. It becomes harder if you have a bad credit history! A series of financial crises can surely leave you with a bad credit score that further makes it difficult for you to avail loans for your cash requirements. 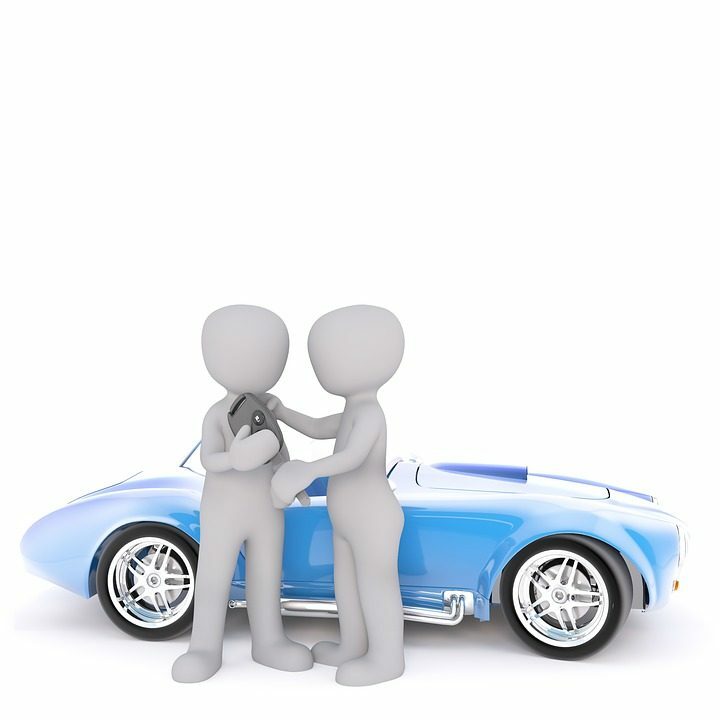 In such situations, car collateral loans can help you out to get the cash you require. What Exactly are Collateral Loans? Collateral loans are a type of loans where you leave something of value as the guarantee that you will pay the loan back. The item of value is known as collateral. When you offer something as collateral, you assure that you will pay back the loan amount that you have borrowed. If you don’t repay the loan, your collateral can be kept and sold off to recover the money provided to you. There are a few types of collateral loans. The most popular and convenient type of collateral loans is car title loans. These loans use your car as collateral to get the loan amount you are eligible for. 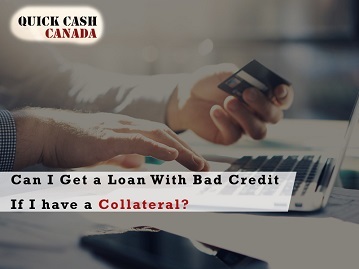 Borrowing the cash you need using collateral loans is easier with Quick Cash Canada than applying for any other loan. Quick Cash Canada has a dedicated team of professionals who assist people who have either exhausted other means of obtaining credit or need funds instantly. Applying is faster or easier and can be usually done by giving us a call or filling our online application form. You just have to enter your information like contact details, home address your car’s information like year, make, model and mileage. Your car’s information entered in the application will help us to determine the value of your car to set how much money you can borrow. After you submit the application, we will process the application quickly to approve you fast. Not having to deal with credit or background check with us saves you days of waiting. The collateral loans process is short and simple. It’s a good solution for individuals when traditional banks are not willing to help. With Quick Cash Canada, you will get fast cash just in a few hours even if you have bad credit. The process is easy and quick and can be completed within minutes. Once you submit the form, you can receive the cash within the same day. A collateral loan with us does not require credit checks because these loans are secured by your collateral. As long as you have a clear title to your vehicle, you are eligible for our loans. Do Not have a job? No problem! You can still apply for a loan with Quick Cash Canada! The procedures for documentation when you getting a car title loan, all you have to bring is your valid Canadian Driving License along with the documents of your car which is being used as collateral. There are no prepayment penalties on our collateral loans. You can pay your loan according to your convenience. We provide flexible payment options. Fill out the online application form or call us. Set up an appointment at our location nearest you. Submit all the necessary documents to get all the information needed to complete your paperwork. Receive the cash and drive away with it. A Great Way to Secure the Money You Need! Car collateral loans are a great way to secure your money. So hurry up and contact us now to get your loan with us. Call us (toll-free) 1-88-517-1625 or fill our online application form at the comfort of your home.